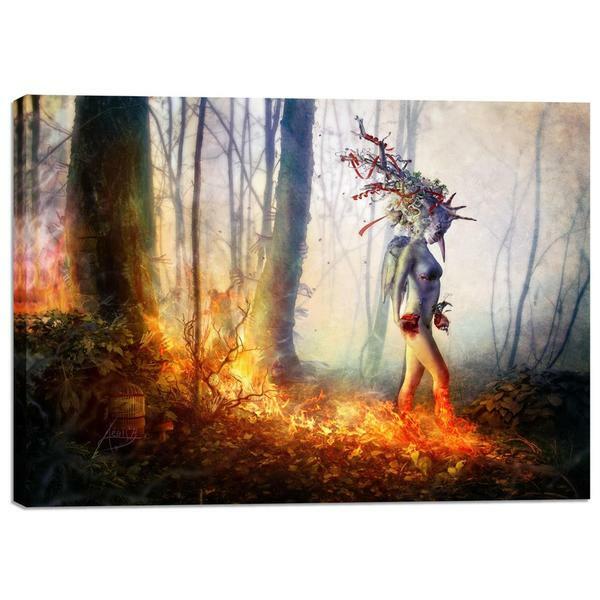 Cortesi Home "I Break" by Mario Sanchez Nevado, Giclee Canvas Wall Art, 40"x60"
Cortesi Home is proud to present 'Trust in Me' by Mario SanchezNevado. Mario Nevado delivers some of the best surreal artworks ofthe digital era, but it's his sensitive but caustic approach tostorytelling that makes his style to be an unique emotionalexperience. Well made product, awesome picture. I sit and stare at it. Through my life I feel that I have gone through hell and back and this pic depicts my path perfectly. I fell in love with this picture and Mario Sanchez Nevado's other work. There are so many little details that come alive when you look at the picture in person. Outstanding! I have a few pieces by this artist and they are all profound. They make you think deeply when you look at it and the colors just burst from the canvas. Love it! When I hung this up on our open staircase wall, near the top, my husband was aghast! He came to me and asked why did I ever chose this painting? I had to take it down...However, I find it fascinating - it reminds me of Heirmonyous Bsch's trypteck, The Garden of Eartly Delights. Right now it is my closet, but I shall hang it in my office, where it won't cause my hubbie to be disconcerted. Heck, I like it! wonderful canvas; the colors are vibrant. I really like it! 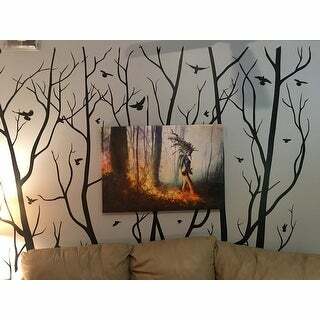 The pictures online of this canvas do not do it justice! OMG it is so beautiful! I recommend getting the largest size to gain the full appreciation of this piece! It brings comfort and an eclectic feel to my home and especially the space. its a beautiful picture until you realize its a demon looking creature in the woods which my wife would not allow to adorn her walls in the home. Love the colors, just as it looked online. LOVE this picture! It has been a great conversation piece and the colors were exactly what I was looking for! I’ve got this one hung up in my room. The orange in the flames adds a nice compliment to the blue bed sheets and comforter I have. This is one of four items I’ve purchased by this artist. this has touched my energy (soul) has deep meaning and a joy to look at and zen. the work of art arrived safe and no flaws. a wonderful work to enjoy for many years. Perfect! Exactly what I expected! "I the canvas stretched and attached to a wooden frame"
It’s gallery wrapped. It looks exactly how the pictures show it. "does this picture come as a print?" Cortesi Home "Forgiveness" by Mario Sanchez Nevado, Giclee Canvas Wall Art, 37"x37"